Armed police were called to a property in Hove this afternoon (May 31) where a man was eventually arrested after an hour-long stand off. Police sealed off the road during the incident, and said the arrest came after there were concerns the man 'might be harming himself'. 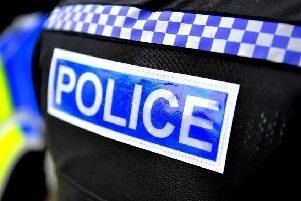 A Sussex Police spokesperson said: "Officers attended Isabel Crescent, Hove, shortly before 2.45pm on Thursday (May 31) after concerns that a man might be harming himself at the property. It was established that there was nobody else in the property. "Just after 4pm the 62-year-old man came out of the address voluntarily after talking to police officers and was safely arrested without incident. "Police took possession of several knives."